She is a CU Boulder and University of Denver alumna and owns a national pet service called Camp Bow Wow. On Nov. 8, Republican candidate and business woman Heidi Ganahl was voted in as regent for the Colorado University System. She was sworn in on Jan. 6 alongside democrat John Kroll and republican Sue Sharkey. The board of CU Regents is a panel of nine elected men and women, seven of whom are elected in their congressional districts and two who are voted in by all of Colorado. The terms are in staggered, six-year increments. Regent duties include decisions pertaining to tuition cost, degree programs and the university’s budget. 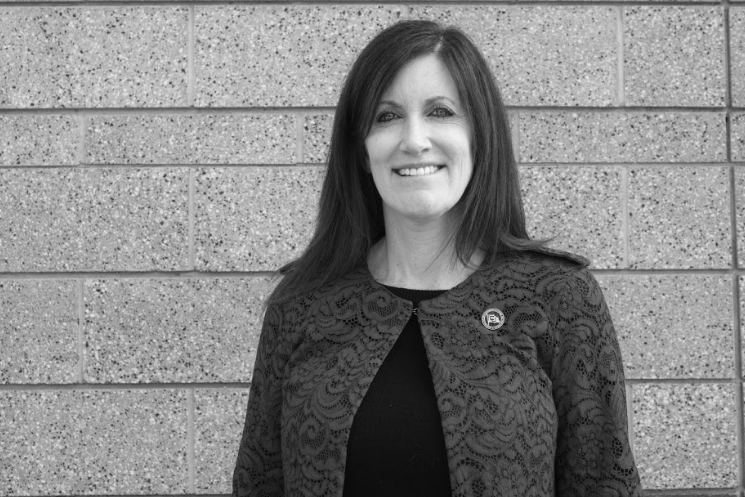 During our interview, Ganahl spoke about her experience in business, her upcoming work on the Board of Regents and what she hopes to see in the coming years for the UCCS. Q: What do you think it takes to be a CU Regent, and what, in your experience, has prepared you for this job? A: We’ve almost got a $4 billion budget at CU, and the governing Board of Regents oversees all of that, so it’s similar in some ways to overseeing a big corporation. Then you’ve got the intricacies of higher education, tax dollars and tuition dollars; it’s really interesting and a lot of fun. I see us as being great stewards to the community, of our university, but on the flip side being great stewards to the public for their tax dollars and making sure that the institution is a big part of Colorado’s economy and creating our next workforce and creating a great education for kids who want to go there, or adults. I have a business degree from Boulder and then I have a master’s from DU in healthcare administration, and I built my company, Camp Bow Wow, for about 15 years. I was able to build it to a couple hundred franchises. Part of what you do when you’re building a franchise company is you have lots of franchisees with lots of different opinions and ideas on how things should run. It’s taught me a lot about collaboration, and I think that’s going to be one of the most helpful things for me as a regent. Q: What in the history of the CU System and work of the Board of Regents do you want to see change? A: The cost of college and trying to figure out if there’s anything innovative to not just get the cost of tuition down, but students fees, housing and try and figure out if there’s a way to bring more businesses and community partnerships together to pay for some of these things rather than just increasing taxes. That’s my number one initiative. A couple of other things I’m really passionate about are free speech on campus and academic freedom for the faculty. And then campus safety, especially campus sexual assault is something I’m interested in trying to tackle. And then the last thing is getting students great jobs. I want to make sure that when you guys invest in your college education that you are getting a great return on your investment. Q: How do you propose to bring balance to the classroom in regards to liberal and conservative voices? A: One is making sure that when we have a job opening for faculty or administration, that we’re getting the information for that job, so that people with different thoughts and opinions can apply to it. The other thing we can do is start getting more involved in the communities that bring diversity to the university. I think we could do a lot more in the lower-income areas of Denver. If we have students that are diverse at the university, support them and listen to them and hear how they’re doing, whether it’s a conservative student at CU Boulder, a veteran, an African American student or Hispanic student—just listening to them, seeing what their needs are and seeing how we can make them feel like they belong. Q: I read an article that briefly mentioned your perspective on safe spaces on campus. How do you feel about them and why? A: I support freedom of speech and first amendment rights, and I believe that as much of our campus as possible should be a free speech zone instead of a safe zone. I think students are coming to our school to learn how to think, not what to think. Part of that is learning how to debate and learn both sides of the story. Conversation can get edgy, but it’s very productive and meaningful to teach kids how to do that, and to look at different perspectives and feel comfortable with views that you don’t necessarily agree with. Q: In what ways do you work with students in the CU System? A: I’m getting to know, very well, the student leaders at each campus, and I’m also going to as many student group meetings as I can and showing up to events, so I can meet students and talk to them, get to know them and listen to them. I think it’s an effort to be out there and be accessible and available to those students whenever they need to talk to me. Q: I watched your TedTalk about your concept of living and The Art of the Comeback. What is some advice you have for students? A: I think when I speak to students, the number one thing I say is to find something you absolutely love to do, something you’re passionate about and it will make your job so much easier, and life so much easier if you wake up with a spring in your step, and you can’t wait to get to work. If you can find a way to bring service into your life to go along with your job…I think it can really help students find purpose and find meaning, whether it’s a non-profit or a projects or some kids to mentor.